This bright penny Clay Antique Horse Model. Available with us is an exclusive range of clay figures that are created by our expert craftsmen holding expertise in their specialized skills. Offered in a plethora of designs and colors, our gamut of clay figures can be delivered in bulk quantities within the shortest possible lead time. 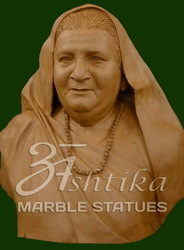 We dealling all type of marable satue and clay model. 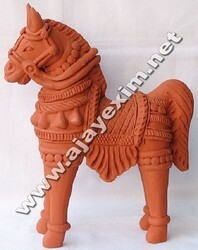 We export an exclusive range of Clay Handicrafts of Tamil Nadu famed for making terracotta Items. We offer Clay Handicrafts with a wide range of variety ranging from utilitarian items to decorative pieces that catch the fancy of modern and urban people. Populate templates with rolled out clay models of animals, birds, etc. by sticking at various places to make the Habitat come alive on your picture frame. Now make up the 2 frameworks by gluing together the 8 wooden frame pieces and the transparent plastic films. Attach the templates to these frames to complete the Clay pictures. Clay models, real animation paintings. .